BEEFEATER LONDON. RUBBER BEER MAT. OR FOR COLLECTOR . BOMBAY SAPPHIRE GIN. THIS IS FOR A QUALITY RUBBER BAR RUNNER. 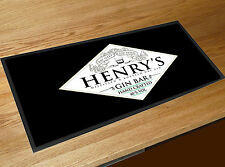 A LOVELY RUBBER RUNNER FOR THE SUPERB GIN. 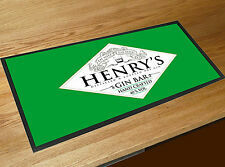 At is 1 x Bombay Sapphire 25cm x 19cm x 5mm thick mouse mat can also be used as a drinks mat. However should you have a problem just get in touch and we will resolve any issues. Suppliers of breweriana and other drinks related products to both the trade and general public. Stones Gin Bar Runner. Condition is New. 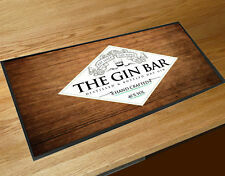 Eden Mill St Andrews Bar Runner Brand new and in sealed packaging. 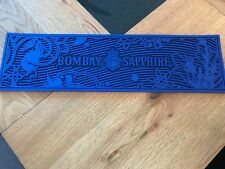 BOMBAY SAPPHIRE. Long mixing spoon. 100% cotton bar towel just like they have down the pub. Party & Cocktail club Beer label Bar Mat. • Digital colour printing. ALL OTHER WORDS ON THE ITEM WILL BE PRINTED AS STANDARD. BOMBAY SAPPHIRE GIN. THIS IS FOR A QUALITY RUBBER BAR RUNNER. 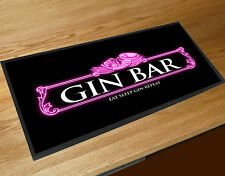 A LOVELY RUBBER RUNNER FOR THE SUPERB GIN LOVER. BOMBAY SAPPHIRE. THICK RUBBAR BAR RUNNER. • Digital colour printing. party & Cocktail club Beer label Bar Mat. ALL OTHER WORDS ON THE ITEM WILL BE PRINTED AS STANDARD. 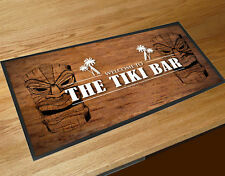 Bar runner counter mats. • Digital colour printing. • machine washable. 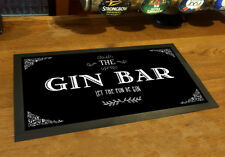 Rustic industrial vintage Moble Gin Bar Beer Weddings or Pub, Salon counter etc!